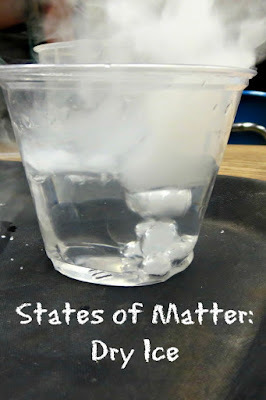 We explored states of matter extensively with Smarty this year, but there was one experiment that I wanted to try for a long time – dry ice. Last summer, we had Smarty take a test through Talent Search program from Center for Talented Youth at Hopkins University. She passed it with “high honors” and qualified for both math and language programs with Hopkins online classes for talented youth. We haven’t taken any online classes through Hopkins yet, because they are so ridiculously expensive, but CTY also runs Family Academic Programs that people can register for even without Hopkins qualifications. We registered to participate in a (relatively) local program at Berkeley Lawrence Hall of Science as a gift for Smarty’s 9th birthday. She was thrilled with this gift and couldn’t wait for her science day to arrive. The program included 3 different workshops – Amazing Brains, Fantastic Gases, and Who Done It? It also included a 3D movie about flying dinosaurs and access to Berkeley Hall of Science museum with their amazing Design Quest. Fantastic Gases workshop started with an instructor talking about 3 states of matter and their transitions from solid to liquid (melting), back to solid (freezing), from liquid to gas (evaporation) and back to liquid (condensation). 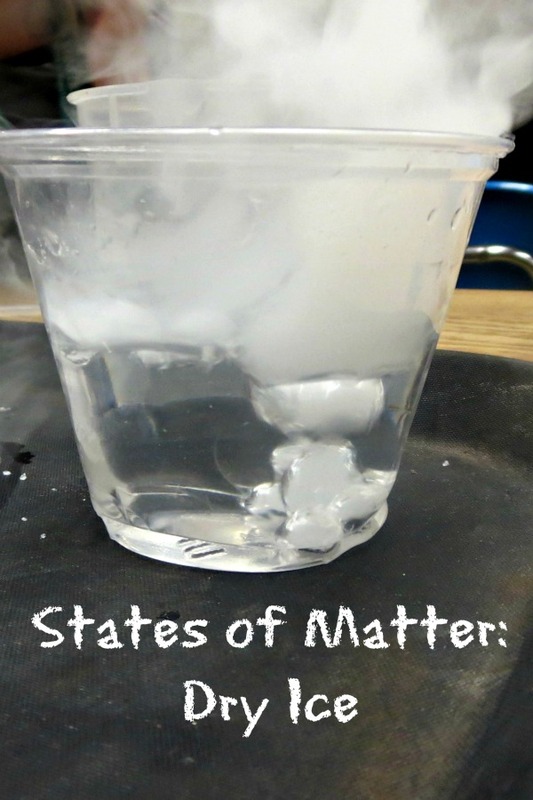 Then he asked if matter can “skip” a state and go directly, say, from solid to gas. Smarty was the one confidently saying No! to this question. Well, she has never seen dry ice in action before! The instructor gave them a brief safety talk and then each student received a tray with plastic cups, spoons, pipettes, tweezers, balloons, and… a pile of dry ice. 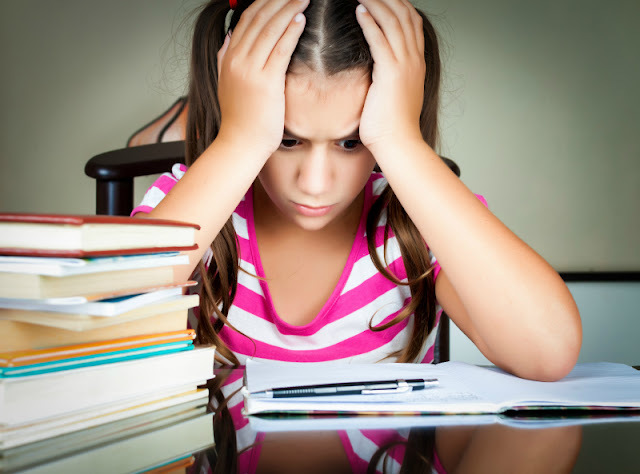 Basically, they were told to go and explore without any “learning objectives” or worksheets to fill out. Not surprisingly, it was Smarty’s favorite – she had complete autonomy of what she did and how long she did it. Of course, her favorite was putting dry ice in hot water and watching it “boil”. She immediately saw an application for it in Halloween setup for the next year. After about 45 minutes of free experimenting with their dry ice, students discussed their findings. They agreed that dry ice did not “melt” into liquid, and their instructor explained that this process is called sublimation. They also discovered that dry ice is heavier than air after almost every student thought of filling a balloon with sublimated dry ice. Then the instructor led them through comparison of dry ice with several other gases (hydrogen, oxygen, and carbon dioxide) by testing different properties such as weight, flammability (not for oxygen, of course, but he demonstrated a spectacular fiery explosion of a hydrogen-filled balloon that kids asked to repeat twice), and acidity. In the end of the workshop, students agreed that mysterious dry ice is indeed good old CO2 (or at least it behaves suspiciously similar to it). Have you ever played with dry ice? Dry ice is always fun to play with! What a great program for Smarty. We've experimented a little with dry ice, but still have a number of experiments I'd like to try out - maybe next summer. I like the free experiment followed by discussion format used by the class - so much learning potential. We've mainly used dry ice for making witch's brew, but sometime we'll play with it some more.